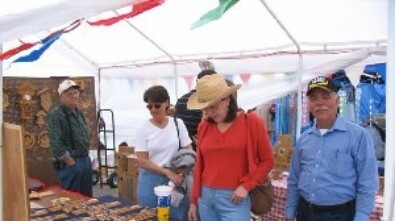 The Nederland Heritage Festival has one of the largest and friendliest craft and collectible markets in the area and is host to more than 120 vendors and craftsmen. Our craft and collectible market is located in the bus barn and around the administration building of the Nederland Independent School District. The concrete area and shell covering make it easy to maneuver strollers and wheelchairs. The market is open on Saturday from 9:00 a.m. until 6:00 p.m and on Sunday from noon until 5:00 p.m.
Want to become a VENDOR?? Download and print the Craft Market guidelines and application. Nederland Heritage Festival, March 12-17, 2019.